Namibia’s cooperation with international partners aimed at improving the lives of people residing in the Southern African Development Community through the timely implementation of resolutions was the focus of a special meeting of Senior Officials of the regional body in Windhoek. The Executive Director in the Ministry of International Relations and Cooperation and Chairperson of the SADC Committee of Senior Officials, Ambassador Selma Ashipala-Musavyi, officially opened the meeting of the SADC Standing Committee of Senior Officials and said the effective implementation of summit and council decisions is vital because it sets out the path for effecting regional integration. 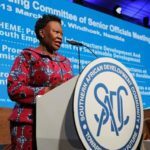 Ashipala-Musavyi said that room for improvement always exists because the implementation of resolutions taken at the recent summit of the SADC has been slow. The chairperson reiterated that industrialisation remains a key priority through which the region can achieve sustained economic growth and development. 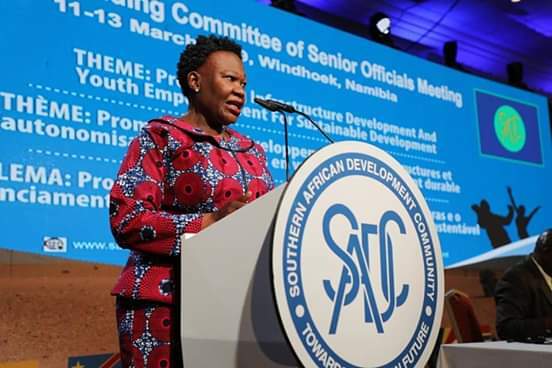 The Senior Officials meeting precedes the meeting of Finance Ministers tomorrow and the SADC Council of Ministers meeting scheduled for 15 and 16 March 2019 at Safari Court Hotel and Conference Centre in Windhoek.